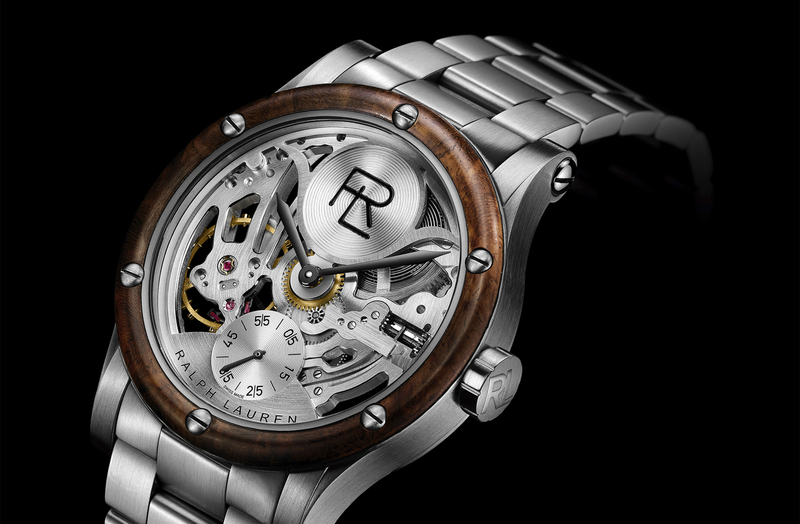 Ralph Lauren unveiled three very interesting “Sporting” timepieces at SIHH 2011 this past January. The Sporting Watch (with unique Burled wood dial), the Sporting Chronograph Black Ceramic and the Sporting Chronograph Guilloche steel (shown above). The guilloché-work on the chronograph is not something you see much in this price range, making it maybe the most compelling of the three new “sporting models. Guilloché is a decorative engraving technique in which a very precise intricate repetitive pattern or design is mechanically engraved into an underlying material with fine detail. It is done with a machine, however, the machine is operated manually and requires a very skilled hand. This makes this particular version of the Sporting Chronograph cost a few thousand dollars more than the black ceramic model. But this is also what makes this particular version, that much more appealing the the ceramic model (or the previous steel RL Chronograph). Ralph Lauren is very new to watchmaking, and being that the brand is associated with a fashion house, it has not been easy for the brand to reach consumers who associate quality watches with names outside of the fashion world. However, with that said, of the timepieces on the market connected with a fashion clothing brand, the Ralph Lauren timepieces are easily the best. Why? 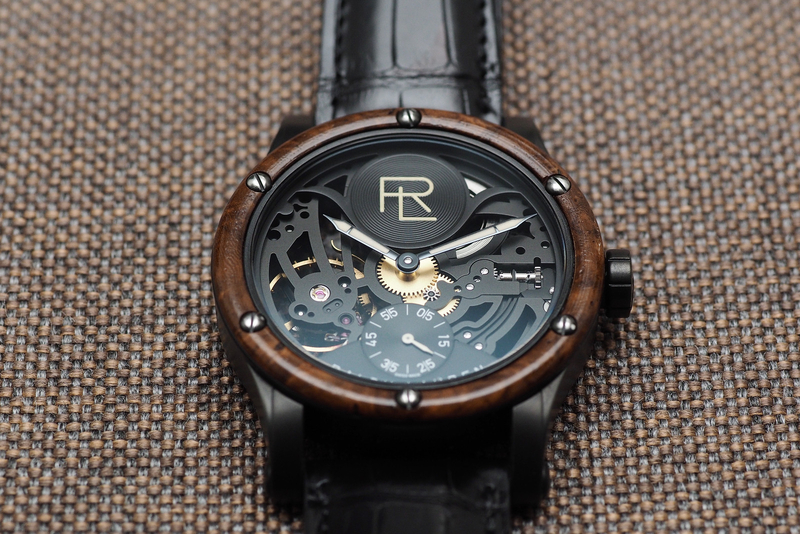 A number of reasons: 1- they are managed by the Richemont Group, 2- they use manufacture quality Jaeger-LeCoultre, IWC and Piaget movements, 3- they have good looking classic designs that are in-line with what you might expect from Ralph Lauren, and most recently, 4- for 2011, the pricing has been adjusted to correctly reflect what the market will actually bear. The Ralph Lauren Sporting Chronograph Steel Guilloché model is available in 39mm and 45mm case diameters. The steel bezel and silvery opaline dial feature beautiful guilloché-work. The stainless steel case features both polished and brushed finishes, and 6 screws which secure the bezel. 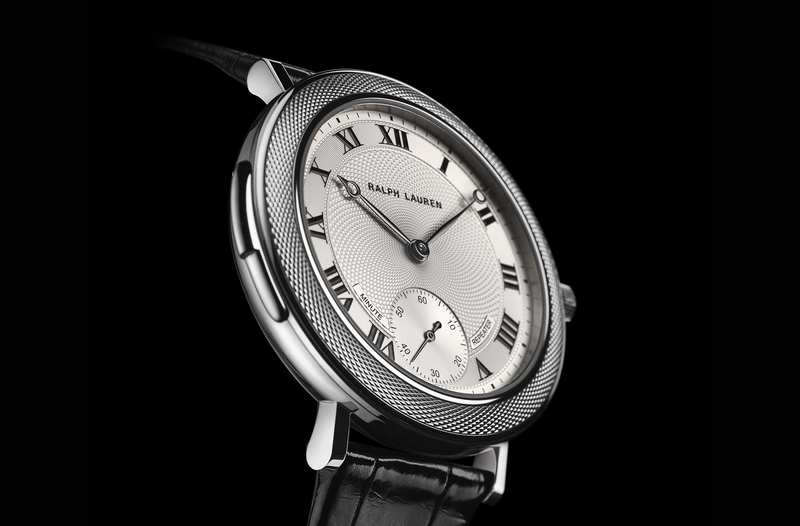 The dial has elegant roman numeral hour markers and Breguet style hands. The sapphire crystal protecting the dial is convex (curved), and a has external and internal colorless anti-reflective treatment. Inside, is a robust manufacture movement, the RL750, made for Ralph Lauren by Jaeger-LeCoultre. It’s a self-winding column-wheel chronograph that runs at 28,800 vph (4 Hz), with 261 components and a power-reserve of 48 hours. The sapphire crystal back, secured by 6 screws, allows a perfect view of the mechanical movement, including the Côtes de Genève (Geneva stripes) and perlage (circular graining). The strap is black alligator, with black leather lining and a stainless steel pin buckle (polished and brushed). Water-resistance is 50 meters. The combination of guilloché-work, a great dial design, Jaeger-LeCoultre column-wheel chronograph movement with exhibition caseback – make the RL Sporting Steel Guilloché Chronograph an excellent choice. The retail price for the 39 mm model is $7,300 and $8,250 for the 45 mm version.